The Public Provident Fund is the most favorite & popular tax saving schemes. Interest earn on PPF is tax-free. As this scheme is launched and governed by government of India it is totally safe investment. 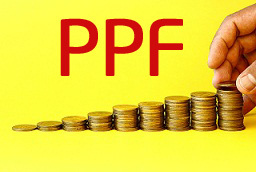 PPF scheme is for a period of 15 years. The minimum investment required in a PPF account is Rs 500 per year and the maximum investment amount is 1 Lac per year. One can take a loan on the PPF account after completion of the third year opening of the account. Partial withdrawal is also applicable after 4 year’s completion of account opening. PPF (Public Provident Fund) is Long Term Debt Scheme on which regular interest is paid. Any Individual can invest in this scheme to earn a good tax-free return. Most of the people consider PPF as tax saving tool but PPF can be good investment option for retirement. The Interest on PPF account is no longer fix, every year government declare interest applicable on PPF. For this fiscal year (2013-14), the government will pay 8.7 per cent. The interest on balance in your PPF account is compounded annually and is credited at the end of the year. How I can earn more money through PPF? Trick for earning more money through PPF is lying in time & mode of investment in PPF. Remember that the interest calculation on PPF is done every month the interest is calculated on lowest balances in account between 5th and last day of the month. Let’s consider 3 different cases for investment in PPF. 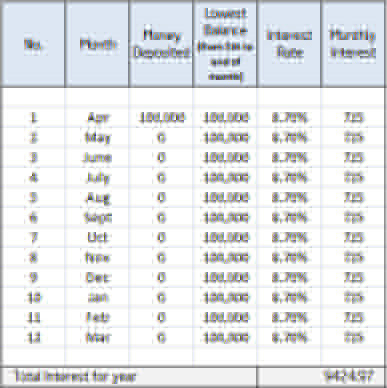 In this case as money is deposited after 5th of every month you are not eligible for earning interest for that month. Monthly investment of 8333 Rs/- per month here can fetch annual return of 4712 Rs/- only. Investments of 1 lakh in PPF at single go before 5th April. This is most advisable and smart option to earn more money through PPF. In this case as money is deposited at single go at starting of year it will fetch higher return. Yearly investment of 1 lakh here can fetch annual return of 9425 Rs/-. So be smart and earn more return through PPF investment! For more information PPF visit this page. it was nice . i am also interested in this money matter though i am not from this field, i am learning about investment plans.